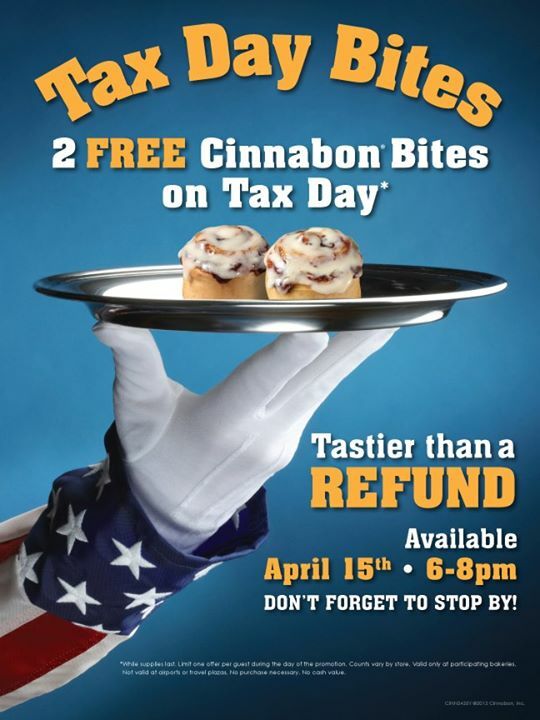 Want Some Tax Day Freebies? Cinnabon: If you’re in the mood for some cinnamon deliciousness tomorrow between 6 and 8 p.m., head over to Cinnabon for two free cinnamon bites! AMC Theaters: Checking out a flick tomorrow? 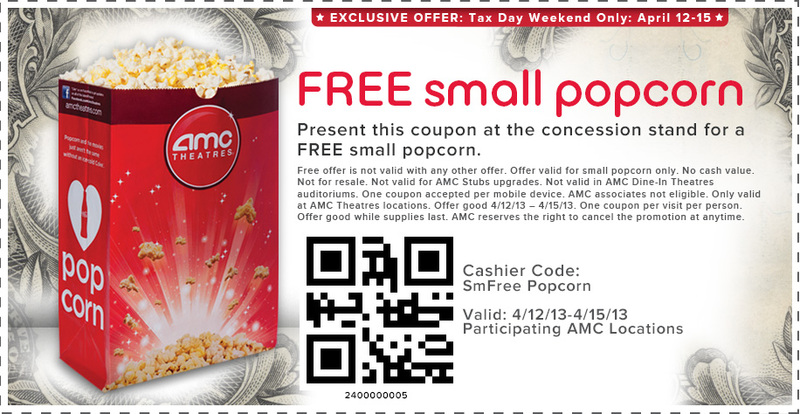 Be sure to print out this coupon for a free small popcorn if you’re going to an AMC location. Great American Cookies: Should you find yourself in a shopping mall tomorrow, be sure to stop by the food court and get a free chocolate chip cookie! Papa Murphy’s: We weren’t familiar with Papa Murphy’s until moving to Winston, and now we LOVE them! 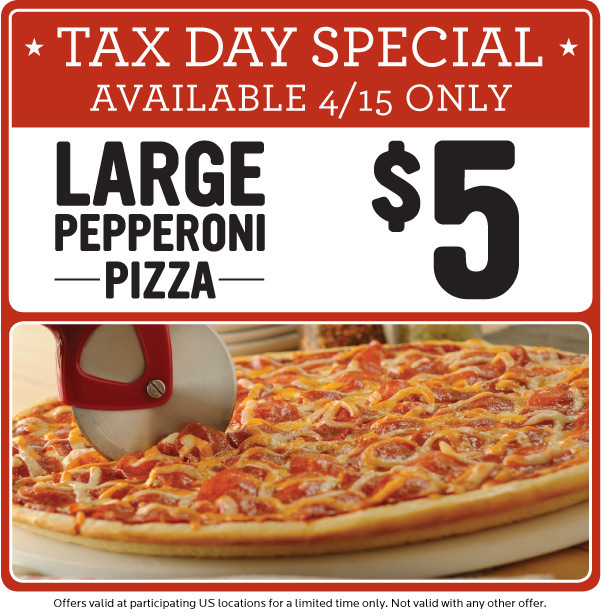 Stop by tomorrow and score a large pepperoni pizza for just $5. 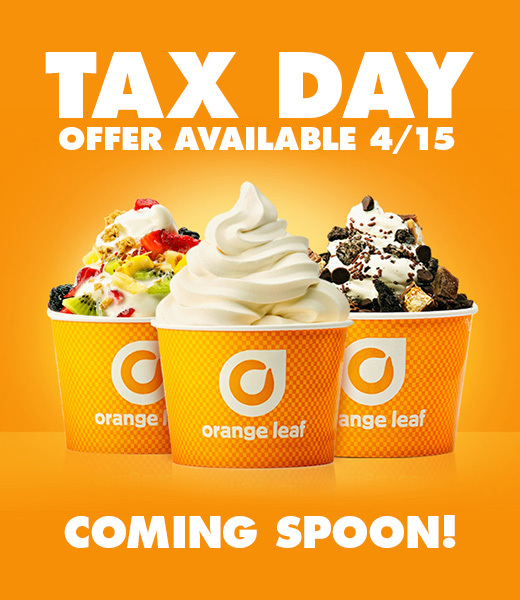 Orange Leaf: Sadly, there isn’t an Orange Leaf in Winston-Salem (I do love me some fro-yo! ), but if any of you are lucky enough to have one nearby, be sure to fill up a cup of of frozen yogurt tomorrow for just $4.15. Previous Previous post: It’s Almost Beach Season! That Means It’s Time For A Bathing Suit Wish List.